Can't get enough of the Naked Palettes? Then this is definitely for you. 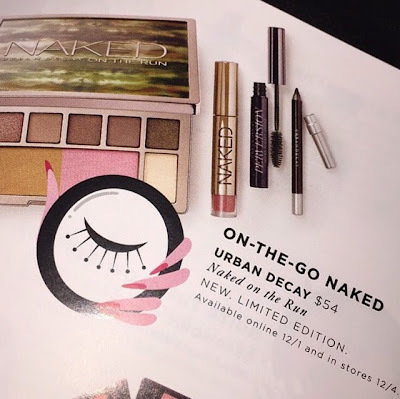 The Naked on the Run palette is your easy on-the-go accomplice to take with you everywhere. Eyeshadows, blush, highlighter and bronzer- check. Pair with your fave Naked gloss and you're good to go. It will include five of the most popular shades from all three Naked Palettes as well as a Naked gloss, Perversion mascara and Stag 24/7 pencil eyeliner. 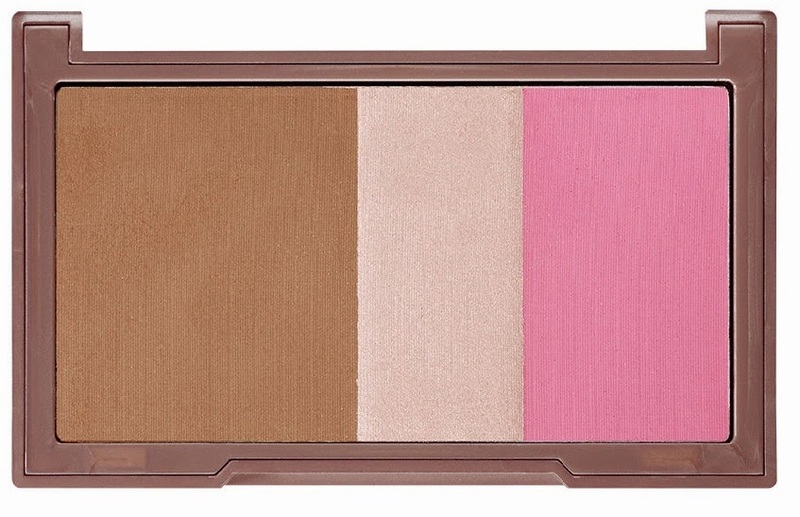 Also included is blush, bronzer and highlighter- a mini Naked Flushed. Looks to me like the shade Native, which would suit most skin tones although darker skin tones would find Strip more suitable. So I'm not sure how versatile this palette really would be for everyone. But I do think it has excellent value as a ready made travel palette. It will retail for $54. Available starting Dec. 1st online at Sephora and in stores Dec. 4th. It's limited edition so mark your calendars and if this is on your Xmas list start dropping hints now. Subscribe and follow me on Instagram for the latest updates. UPDATE >>> Coming sooner than you think! Plus more details on shades HERE.